You must be tired after today, Let’s Dance! When Persona 5 was released back in April 2017 it became not only my game of the year but one of my favourite games of all time. The reason? 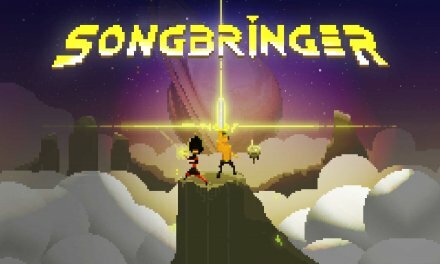 Initially, its style didn’t grip me at first but after playing for a few hours I was hooked, not just by its amazing story but by the characters themselves and the music and I learned to love just about everything about it to this day. 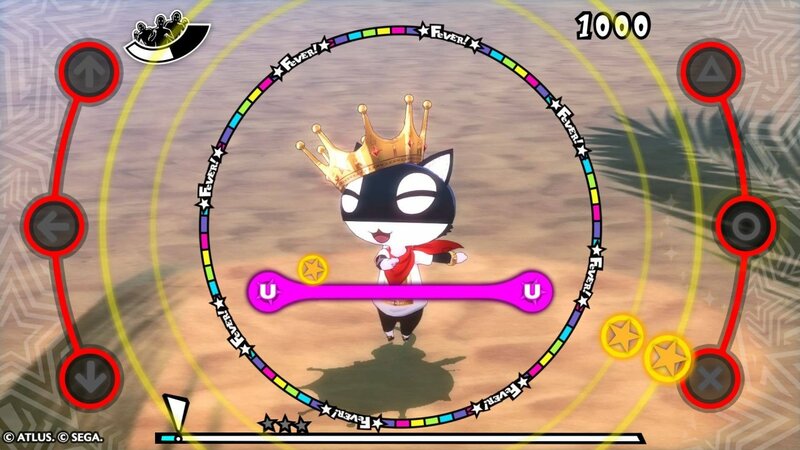 After finishing the game I had been wanting to fill that void ever since so when I heard a Persona 5 music rhythm game was coming out naturally I was excited. 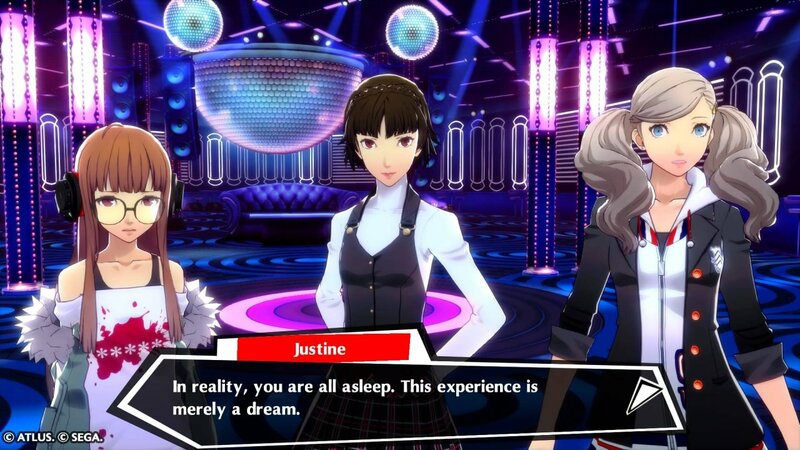 Persona 5 Dancing in Starlight takes place in the aftermath when the gang have stopped being Phantom Thieves and taking a well-deserved break. Twins Caroline and Justine had other plans though and summoned the Phantom Thieves of their own accord. They want one thing from them, to dance! A very odd request that even the group wonder why but as it is a dream and there is no evil in the world then why not I guess. The opening does contain some minor spoilers if you have not already finished Persona 5 but I imagine that this game is for those that have already have, if you haven’t then you should be aware just in case. 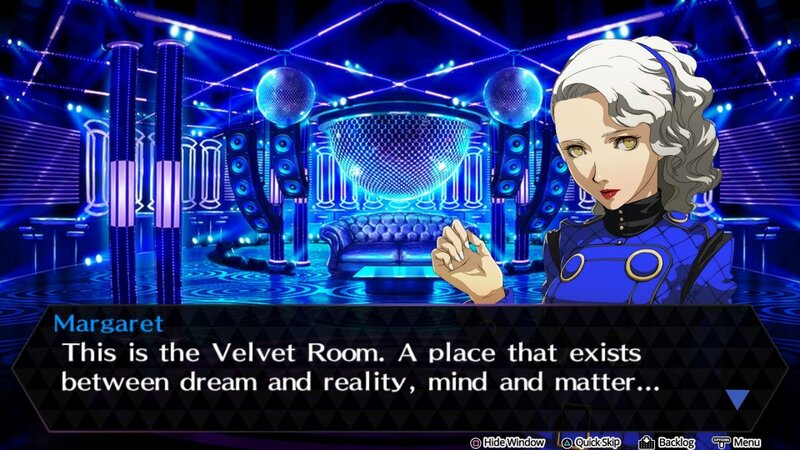 Persona 3 Dancing in Moonlight is pretty much the same deal only the story is different and the Velvet Room equivalent that is Elizabeth makes an appearance instead and manages to convince the characters of Persona 3 to dance through a few fake tears. Being a huge fan of the style that Persona 3 has it is nice to see it in all its high definition glory since I last played which was way back on PlayStation 2. What is really great about these games is they incorporate the style and settings from their respective titles. While the characters of Persona 5 look great, the characters of Persona 3 look amazing as they have has the biggest visual upgrade and really have come to life. There are also some stunning new character designs during menu’s which all look amazing and really set the style for each game. 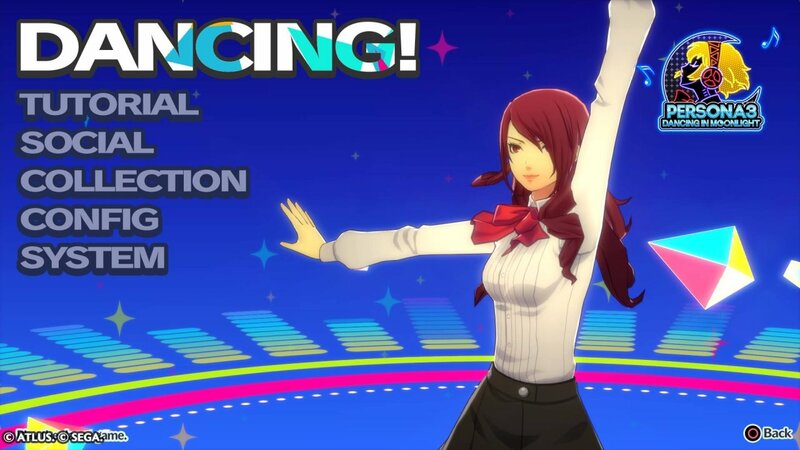 So our beloved characters must dance and you are given some options in both games upon starting, you have the tutorial (which I highly recommend) you can also get stuck in and play music stages or play through social events where you will get various cutscenes with your party. 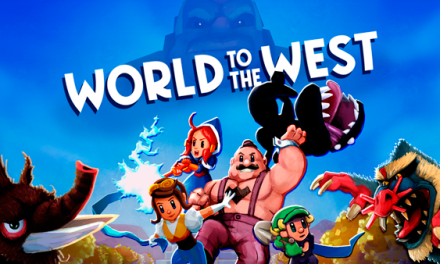 The social side does require some unlocking though so to view these in their entirely you will need to play through the main game and meeting certain requirements to unlock the cutscenes most of which will naturally unlock through normal play. 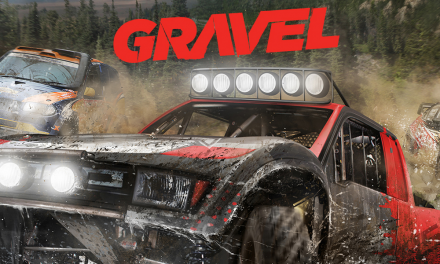 The mechanics of these games are the same whichever you decide to play first. The sides of the screen contain arcs with symbols which correspond to the buttons which you must press. As stars move across the screen you have to press them at the right time, similar to other rhythmic games timing will determine if it is a Perfect, a Great or a Miss. Scratches are another mechanic. This can be done when a circle pulse from the middle of the screen reaches the outward arcs and the trigger buttons are pressed. These are not required but getting enough will activate fever which happens at climactic parts of each song and your partner will join you on stage and will get you a lot better score overall. 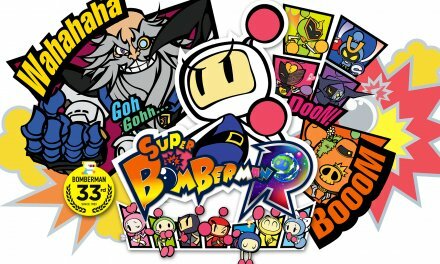 The issue here is that if you are playing on a big screen it is more difficult to discern the notes unless you are playing further away from the screen and you also miss watching the characters boogie in the middle as your eyes aren’t focused on them especially on the higher difficulty. Each song shows a performance of the characters depending on the song played, for example, Makoto will dance during Price and the stage is set in the Bank palace which is associated with her. My happiest moment was when I saw the Tartarus lobby in all its high definition glory as a stage, it just made me really wish for a remaster of Persona 3. 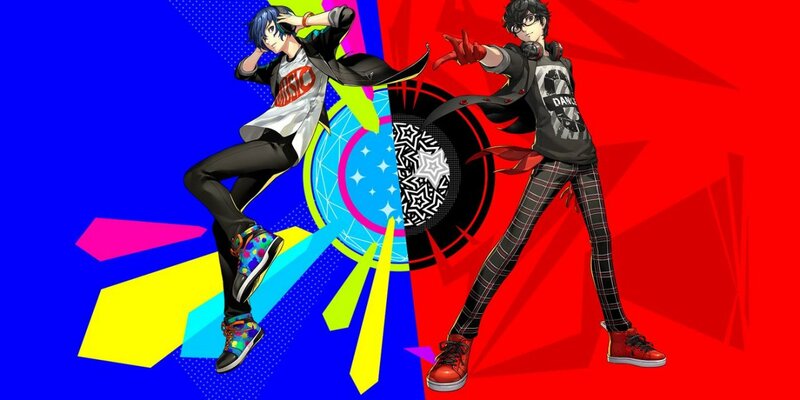 The songs themselves are fantastic, Persona has always had great music without a doubt but the remixes make the music sound even better, there is even a live performance in Persona 5 Dancing in Starlight which is an absolute treat, other songs have cutscenes playing out rather than characters which is also a nice touch. The variety is there, not all songs make an appearance but the choices and remixes are enough to keep you on your toes. There are plenty of customization options to unlock with these games such as costumes and gameplay modifiers, much like the social story paths these will unlock naturally while others will require a bit more effort. The gameplay modifiers are an interesting feature and have good and bad points to them. The good modifiers will have an effect on your score in a bad way making the song easier to play while bad modifiers make the song more difficult to play but will improve your score, being completely optional these will have no effect on the game but are nice to tinker with especially if you want to practice better by slowing the notes down. Both these games come with PSVR support which sadly it lacks as it just shows your characters dancing in VR while being able to zoom in and do a few other things. These games come with Cross-save allowing you to share the game between your Vita should you own it on both PS4 and PS Vita. If Persona 3 Dancing in Moonlight and Persona 5 Dancing in Starlight aren’t enough to keep you dancing all night then you will be happy to know that the Endless Night Collection bundle comes with Persona 4 Dancing All Night packaged in as a treat and like the other games what a treat it is. Persona 4 Dancing All Night is a little different as it was the first Persona game to get a dancing spin-off and came out on the Vita back in 2015. While the game plays the same there are differences to the 2 new dance games. 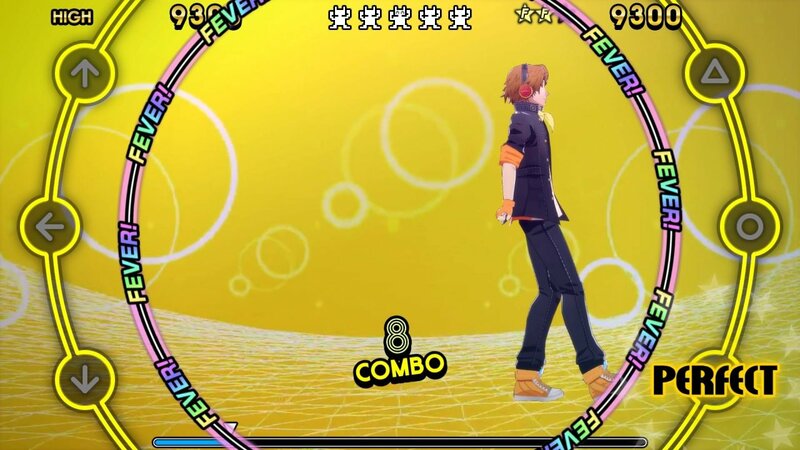 The main thing Persona 4 Dancing All Night has is the story mode which the other games do not have. The way in which you unlock Items, Costumes and Accessories is different as you buy these on a shopping channel through the main menu, sure you have to unlock most of these still but being able to buy which you desire allows more freedom. Anyone who has played Persona 4 Dancing All Night won’t find anything new here as it is the same game as the Vita version but anyone that has yet to play will find a lengthy engaging story with again some amazing music from the series. Summary Persona 3 and 5 Endless Night Collection is a must-have for any die-hard Persona fan. If you long for more of the Phantom Thieves or SEES or wish to dance with the crew of Persona 4 once more then the Endless Night Collection has you covered.